Replacement Ignition Coil for 37? 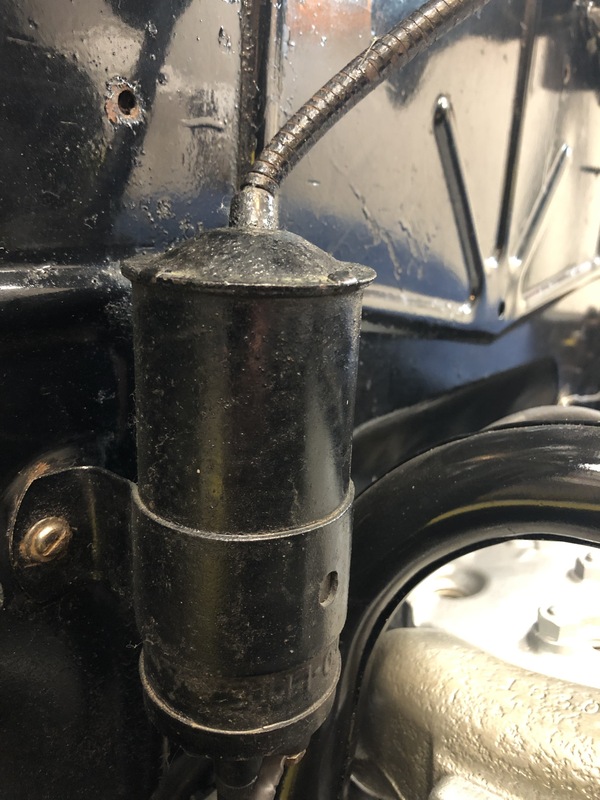 I have the original coil on my 37 Hudson coupe with the armored cable coming out the top (as mounted) and then goes through the firewall to the ignition switch (from what I can see). I need to replace the coil so what should I use? It still has the original 6 volt system with positive ground battery. In addition to a recommendation on a coil, what’s the best way to wire up the new coil as it won’t have the armored cable on one end. I don’t suppose there’s a way to rebuild the old one or if it’s even worth doing? Has anyone adapted the old armored cable setup to a new coil? Doug would always be a first choice in looking for parts or repair. I think that the Autolite coil for your car would be the IG-3224S (or IG-3224JS, which also fits mid-1930's Chrysler products). You should double check this with other '37 owners, however. These original-style coils have the tabs at one end to which you can fasten the end cap of your armored cable. Then it will look exactly like the one that's now in the car. 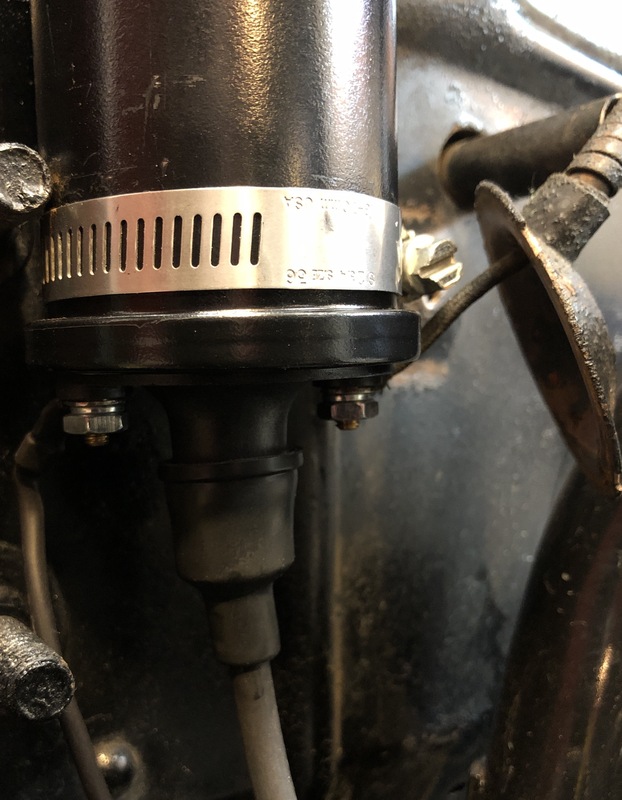 (While you can find a modern 6-volt coil in your local auto parts store, it won't have the tabs on it, and it won't have the neat and clean original style installation.) These old style coils are fairly plentiful on Ebay, but the prices vary wildly, so shop around. Would there be any problem with this temporary set up of the new 6 volt coil to test its performance with a new coil? My only other question on this temporary setup is if the metal cap on the armored cable which crimps to the end of the original coil needs to be grounded in some way for this to work. My battery needs a bit of a charge before I can give it a try, so if someone sees something I’ve done wrong please let me know. Again, this is just a temporary setup to see if a new coil effects how she runs. It's okay that way, no need to ground the cap. I have read that the reason they used armored cable was antitheft, it kept the vehicle from being hot-wired.